Patiently waiting for my food to evolve. Lacto-fermentation is a method of food preservation where lactic acid is produced by good bacteria. Not only will lactobacillus keep food perfectly preserved, but this process also increases the vitamin content, while promoting the growth of healthy flora in your intestines, allowing for ease in digestion. Several well-known lacto-fermented foods include sauerkraut, kimchi, and pickles. 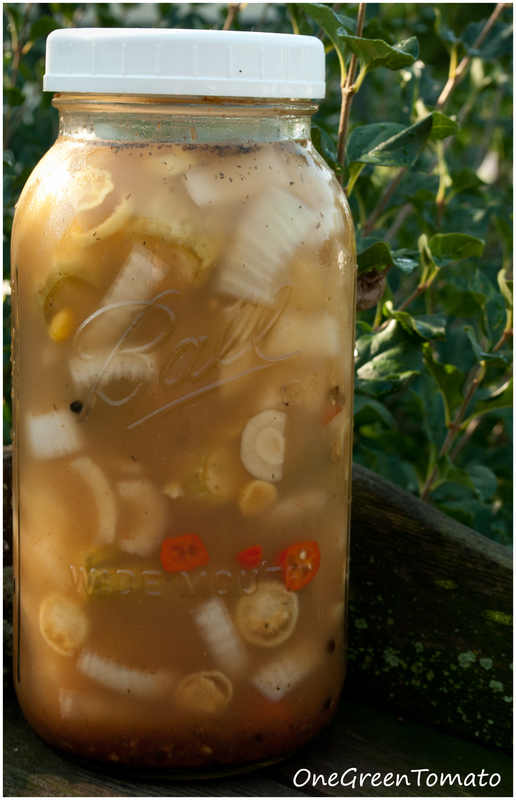 Canned pickles, however, are not the result of lacto-fermentation since the bacteria is killed during water-bath processing. Also, the brine resulting from lacto-fermentation will become cloudy, canned pickles maintain a clear brine (unless you have added spices that muddy up the brine). 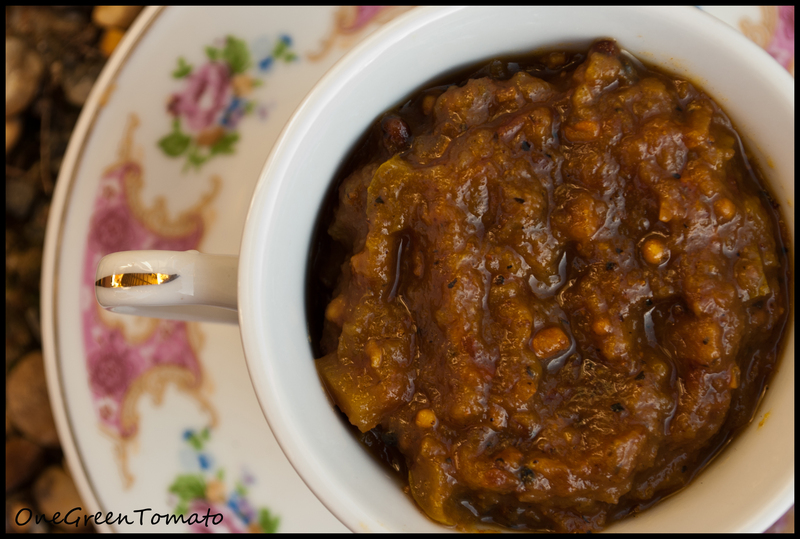 The following recipe is by far my absolute FAVORITE pickle. Ever. Last year’s batch lasted through February; so not long enough! 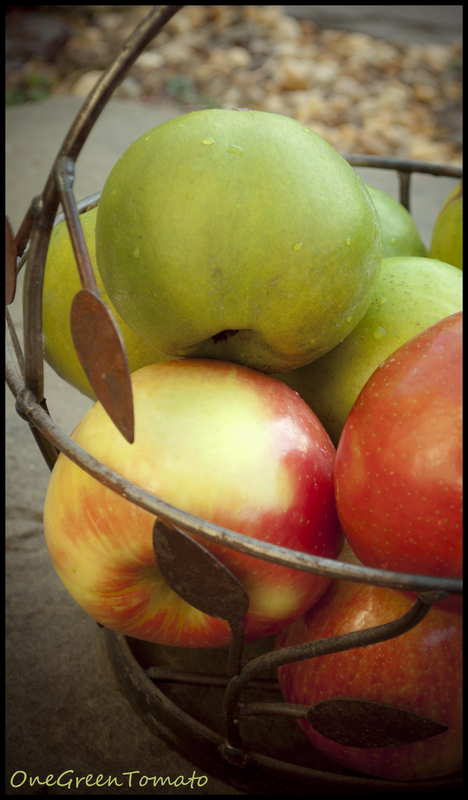 This year I plan on making several gallons in hopes of stretching out their tasty consumption well into next Spring! Combine water, salt, vinegar, and seasonings; stir until salt is dissolved. 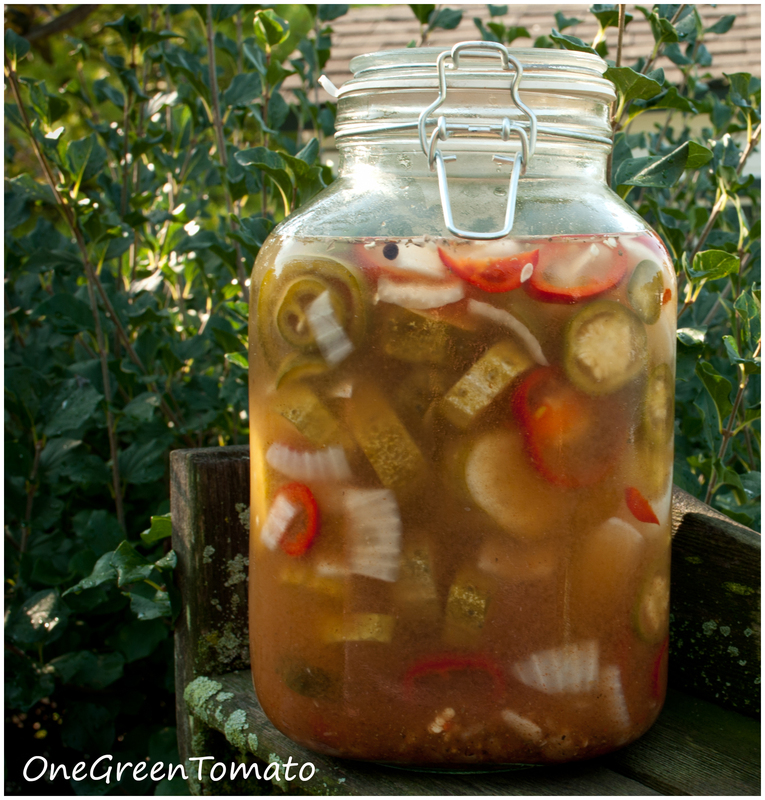 Pack cucumbers, cherry peppers, jalapenos, garlic, and onion into a gallon jar. You can also use 4 quart jars, just divide peppers, onion and garlic evenly among them. Ladle in spiced brine, covering vegetables. Place lid(s) on jar(s) and let pickles ferment at cool room temperature for 3 days. Refrigerate another 5 days; for those who want it and want it now, the pickles are ready to eat. I always allow mine ferment for at least 1-2 months, so the brine can really develop. The batch pictured above was made using whole cucumbers and my Chinese 5 color peppers. This is my first year growing that variety of hot pepper, so I am very anxious to taste them! **When using whole cucumbers, trim the blossom end by 1/16″, since the blossom may contain an enzyme that encourages excessive softening.